Iran's top diplomat in Canada, among the accredited embassy staff ordered out of the country last week, says in a letter that cutting off relations is "unwise, uncivilized and hostile." Iran's top diplomat in Canada says cutting off relations is "unwise, uncivilized and hostile" in a letter dated Monday. 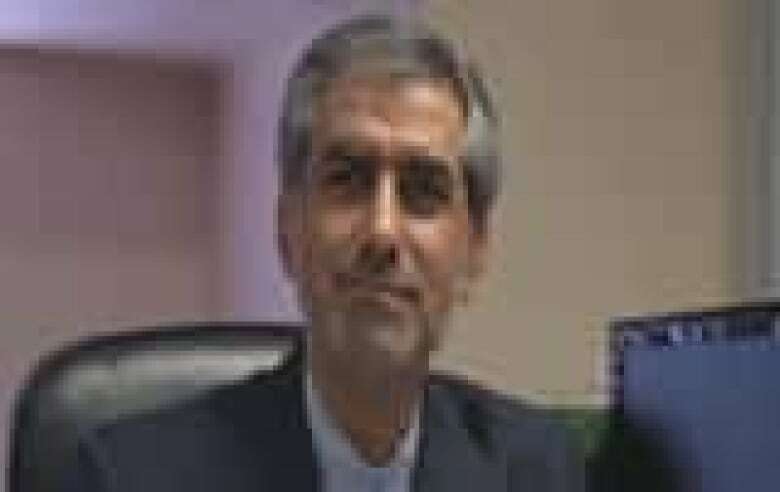 Until last Friday, Kambiz Sheikh-Hassani was the chargé d'affairs for the Iranian Embassy in Ottawa. He and 17 other diplomats were declared personae non gratae, meaning their credentials were revoked. They have until Wednesday to leave Canada. Canada is also closing its embassy in Tehran, Iran's capital. Five Canadian diplomats left the country before Foreign Affairs Minister John Baird announced the move to cut relations last week. In an interview with CBC News chief correspondent Peter Mansbridge, Iran's chargé d'affaires in Ottawa refuted allegations that the Canadian government may have ordered the sudden closure of the Iranian embassy due to harassment of Iranian-Canadians who opposed the Iranian regime. "I think it is totally baseless. Your CSIS [Canadian Security Intelligence Service] people know exactly what we are doing and what we are not doing," Kambiz Sheikh-Hassani told Mansbridge. "What I have done here is definitely in the boundaries of Canadian law and international law. I strongly reject any such allegations." Sheikh-Hassani added: "I think our major guilt here was to provide a quality of service to the Iranian community, making their relationship with the country excellent." The entire interview can be watched tonight on The National on CBC TV at 9 p.m. ET. In a statement, Sheikh-Hassani said Iran strongly condemns the embassy closing, which he calls "inconsistent with the traditional culture and etiquette of Canadian people." "With no doubt, the decision of the Conservative government to close the embassy of the Islamic Republic of Iran here in Ottawa and the manner this has been conducted is unwise, uncivilized and hostile," Sheikh-Hassani said. "This inconsiderate action will certainly create extra burden for our Iranian community here and this very much saddens us." It's not clear why Canada is cutting ties now. Baird and Prime Minister Stephen Harper cited Iran's alleged support for terrorism and attempted development of nuclear weapons, as well as its support for the brutal regime of Syrian President Bashar al-Assad and its calls for the destruction of Israel. They also said they were worried about the safety of Canadian diplomats, although Baird said he has no information about a possible military strike against Iran. Immigration Minister Jason Kenney pointed to the work of Iranian diplomats in Canada as a reason for cutting ties. Speaking Monday to Evan Solomon, host of CBC News Network's Power & Politics, Kenney said the mission in Ottawa was being used for illicit purposes. "There is licit listening, there is diplomatic listening and then there is national security violations. And there is harassment, and intimidation and monitoring of our own community by forces of a dictatorship," Kenney said. Public Safety Minister Vic Toews said he didn't want to comment on the embassy closing, other than to say the government believes Iran and its agencies are a clear and present threat to global security. "I find it ironic, for a country that supports terrorism like Iran does, that they would consider the closing down of our embassy to be somehow an uncivilized act. Could there be anything more uncivilized than the sponsorship of terrorist organizations, which is what Iran is doing?" Toews said in an interview with Evan Solomon, host of CBC News Network's Power & Politics. Toews suggested Canadian diplomats were at risk in Iran. The British closed their embassy last year after protesters stormed it and destroyed some of the offices. Iran was criticized for not providing proper protection. "We were no longer prepared to leave our diplomats in Tehran because we believed that the Iranians would not respect their security or guarantee their security. It's a country that simply will not respect the Vienna Convention and we had reason to believe that we should no longer be putting our diplomats at this type of risk," Toews said. The public safety minister didn't rule out the possibility of listing Iran's Revolutionary Guard as a terrorist entity. "We will examine groups, as you indicate the Iranian Revolutionary Guard, to determine whether they meet the qualifications of the definition. We look at this every two years and at this point I'm not prepared to say what we're going to do publicly," Toews said. Sheikh-Hassani says his embassy staff members were working in a difficult environment, and used all available capacity for consular services like passports and visas. "We assure the Iranian community that this move by the Harper government will be judged in the course of history. However, Iran will make every effort to alleviate your burden arising from this irrational behaviour. Ministry of Foreign Affairs of the Islamic Republic of Iran is already working on possible avenues and mechanisms to be able to restart the consular services rendered to the respected Iranian community and will inform them in due time," he said. Did intelligence fears prompt Canada to cut Iran ties? Was it a good move for Canada to cut ties with Iran?